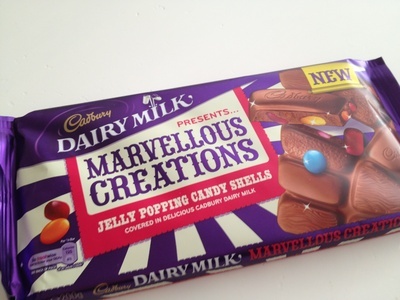 Embrace your frivolous side and delve into a bar of Cadbury's Jelly Popping Candy Shells from their Marvellous Creations range. You know you're in for some fun before you've even tasted it. 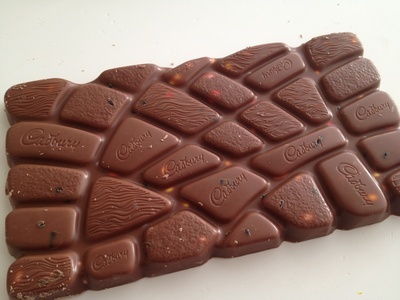 Gone are the standard block squares of a regular Dairy Milk and instead unusual shapes that are still easily breakable into pieces. 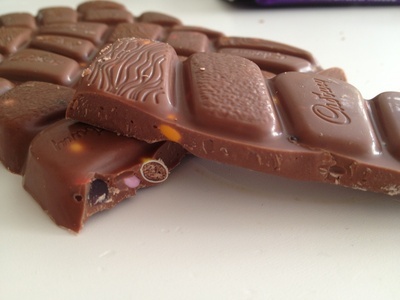 Pop a chunk of the chocolate into your mouth and you'll be welcomed by the familiar comfort of the smooth Dairy Milk chocolate. That's where normality ends as each bite crackles, fizzles and pops. It's crammed full of jelly beans, crispy sugar coated chocolate bites and popping candy. Chocolate snobs might turn their nose up but I think it's a great fun alternative to the everyday.